Soda is a carbonated beverage that may be sweetened and flavored with any number of ingredients. These beverages include the relatively flavorless soda water, club soda, and tonic water. The category also includes sweet ginger ales and citrus sodas, spicy ginger beers, and colas. Any of these sodas can be enjoyed on their own or they can be used to make mixed drinks that do or do not include alcohol. Soda is an essential mixer to stock in any bar. It is a vital ingredient for popular mixed drinks like the rum and Coke, gin and tonic, Shirley Temple, as well as countless others. Understanding the difference between each style of soda is valuable. This is particularly true when you're experimenting with new drinks or looking for a good substitute. Just as different brands of liquor vary from one another, every soda brand offers a unique experience as well. For instance, you might find that one ginger ale is sweeter or one tonic is more refreshing than the others. Today's soda market is more expansive than ever. While it was once dominated by giants in the industry like Coke and Pepsi and all of the brands each company owns, smaller producers are making a name for themselves. These smaller, craft brands offer a variety of interesting flavors. From Dry Sparkling's lavender and rhubarb sodas to Jone Soda Co.'s colorful and fruity lineup. Other sodas, such as those from Fever-Tree and Q Drinks, are designed specifically for mixed drinks. Today's soda offers a whole new world of possibilities. Additionally, while Coke and Pepsi products continue to sweeten their sodas with high fructose corn syrup (HFCS) and their diet sodas with things like aspartame (Nutrasweet), the smaller brands tend to use real sugar. The big advantage to this is that the sodas made with real sugars are not as sweet or syrupy as those made with HFCS. This makes them more refreshing and, arguably, healthier. Beyond that, the crafted sodas tend to be flavored with natural ingredients. When combined with the lower sugar content, the flavors really shine. One of the biggest differences can be seen in cola. If you have not tasted a real cola, try it. It is a world of difference from the Coke and Pepsi you may be used to. While there are many different flavors of soda, there are certain styles that we have come to know and rely on. This is particularly true for mixed drinks, where we generally categorize soda into seven categories: soda water, club soda, tonic water, ginger ale, ginger beer, lemon-lime soda, cola, and root beer. These are the most popular sodas used in the bar. In general, any of the clear sodas—soda water, club soda, ginger ale—can be used as substitutes for one another. In some instances, even tonic can be a substitute if you want your drink to be a little drier. You can also add a splash of soda to liven up any fruity highballs like a cape codder, sea breeze, and Pearl Harbor. When choosing sodas for mixed drinks, it is important to remember that your drink will only be as good as your soda. After all, in most recipes, the soda often makes up most of the drink. That's why it's best to choose sodas that you wouldn't mind drinking straight. 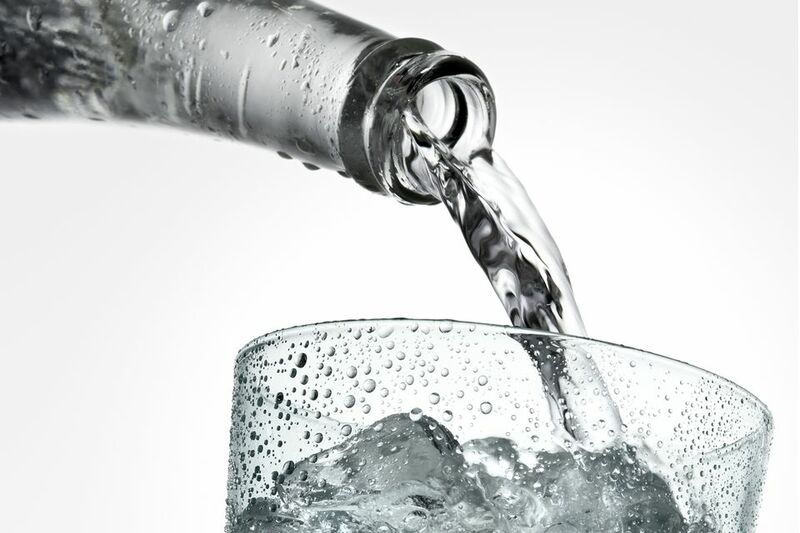 Soda water is the foundation for most of the other sodas and is soda in its purest form. It is simply carbonated water. It goes by many names, including sparkling water, mineral water, and seltzer. Some of these have hints of flavor, most often of light fruit flavors, but traditional soda water is unflavored and unsweetened. Bottled soda water is available, but the freshest soda comes from an old-fashioned soda siphon or any of the modern soda makers. Typically, homemade soda water has more carbonation than the bottled variety, so they create a very pure and effervescent soda that retains the bubbles longer. To get any other type of soda, plain soda water is typically mixed with a flavored syrup. You can do this at home, too. Simply use any flavored simple syrup and top it with soda water and you will have an old-fashioned soda fountain drink. Club soda and soda water are nearly identical. Sometimes club soda is just another name for soda water. The two are interchanged in drinks all the time. Club soda often contains additives such as salt and light flavorings. Some club sodas contain a light sweetener as well. Club soda is used most often in mixed drinks. It offers a light effervescence and it's neutral flavor mixes very well with any other ingredient you want to mix it with. Bottled club sodas are a must for any well-stocked bar. Drinks like the John Collins, Tom Collins, and vodka Collins have recipes using that use either soda water and club soda. The decision between which to use is usually a matter of personal taste. Other popular drinks that include club soda are the Smith & Kearns, Singapore sling, and wine spritzer. Tonic is a bitter-tasting soda water that dates back to 1858. Its primary flavor comes from quinine, a bitter compound found in the bark of the South American cinchona tree. It was originally used for medicinal purposes. The amount of quinine in tonics available on the U.S. market is often lower from those sold elsewhere in the world. The gin and tonic is probably the best-known drink that uses tonic water. It began with British expatriates in India who used the combination of gin's botanicals and tonic's quinine to prevent malaria. Schweppes was first produced in the 1870's and is one of the more popular tonic waters. Canada Dry is another brand that is readily available. Today, many craft tonic waters are available and can be paired with premium gins or other liquors to create some of the best mixed drinks you'll taste. Q Tonic and Fever-Tree are two of those newer brands that are worth tasting. Fever-Tree even offers a few different tonics and both have full lines of sodas that fall into each of these other categories. Tonic water does have a dry and bitter flavor profile. Typically, it is only lightly sweetened, sometimes with HFCS. While it's great for mixed drinks, it's also enjoyable on its own. Squeeze in a little lime juice in a glass of tonic and you have an excellent drink for dinner. It refreshes the palate and will not overwhelm or detract from the taste of your food. Ginger ale is another lightly flavored soda water. It contains ginger, sugar, and each brand's "secret" ingredients. There are two types of ginger ale: golden and dry. Golden ginger ales such as Blenheim, Vernors, and Red Rock are darker, sweeter, and stronger than the dry varieties and were popular before Prohibition. Dry ginger ales are more popular today, mostly because they have a lighter flavor and are more versatile when mixing. Canada Dry and Schweppes are two common brands of dry ginger ale. It is also a popular flavor for many of the craft soda companies. You can even make ginger ale at home with a ginger syrup. "Hard" ginger ales are popular as well and many have an alcohol content similar to beer or hard cider. Ginger ale is a versatile soda and another essential for a well-stocked bar. It's used quite often for tall, refreshing drinks because its sweet spiciness pairs well with so many spirits and flavors. Great examples are classics like the whiskey highball, the gin buck, and the more innocent Shirley Temple. Ginger beer is the more robust version of ginger ale. It often has less carbonation than other sodas and is typically made with a combination of ginger, lemon, and sugar. Where ginger ale is sweet, ginger beer is spicy and some brands are spicier than others. Despite its name, most ginger beer does not contain alcohol, though "hard" ginger beers are available. A new spotlight has been placed on ginger beer in the bar thanks to a boom in interest for two very popular drinks. It is the key ingredient for both the dark and stormy and the Moscow mule. If you have been serving either with ginger ale, it is not the true recipe. Both of these drinks are best with the spicy snap of a good ginger beer. Jamaica is well-known for producing ginger beer though there are many great ginger beers being produced throughout the world. Some of the best can be found in specialty or natural food markets. Fever-Tree, Fentimans, and Q Drinks are three premium brands worth checking out and each was designed with cocktails in mind. You can also make your own ginger beer. Citrus sodas are a broad category. It includes popular lemon-lime sodas, grapefruit soda, and orange or lime sodas. They vary greatly in flavor profile and sweetness from one brand to another. You will come across more than a few mixed drinks that use lemon-lime soda. This includes popular drinks like the Lynchburg lemonade and Seven & Seven. It's a very versatile soda that offers a light citrus flavor with a hint of sweetness, so it pairs well with almost anything. Sprite, 7-Up, and Sierra Mist are the most common commercial brands. Many of the craft soda companies produce a great citrus soda as well. While Mountain Dew is a very popular soda and technically a citrus soda, it is not used often in mixed drinks. That's probably because this lime-based soda can be overpowering and it's very sweet. It's really only useful when mixed with ingredients that are just as flavorful, such as the spiced rum and orange juice found in the gombo recipe. Grapefruit soda is not as common, but it's essential in a few popular drinks, including the paloma. For this, Squirt is a nice option, though many people prefer Jarritos. Q Drinks also makes a fantastic grapefruit. The cola you know from Coke, Pepsi, and RC is entirely different from traditional cola. Originally a medicinal tonic, the primary ingredient of real cola is the kola nut. It is definitely not as sweet as the brands that made cola famous. It tends to have a bitter profile. Cola is a soda that should be in every bar. However, you might want to step away from the big brands. The heavy syrup and artificial flavorings can cover up the rest of the drink and really overpower it. Besides, the extra sweetener will actually make you drink more. That means you can easily have one rum and Coke too many and be drunk before you know it. Instead, look for colas from the smaller brands. You'll be surprised at how much more balanced your mixed drinks are and that your whiskey and cola is actually refreshing. After years of artificial colas, the flavor profile can take some getting used to, but it's worth it. Cola is used in all sorts of mixed drinks and is often paired with whiskey or rum. You'll also find it in recipes like the Colorado bulldog and Long Island iced tea. Root beer is made from the root of the sassafras tree or the sarsaparilla vine. Other spices like cinnamon and herbs, such as wintergreen, may be added to the recipe as well. It is dark, sweet, and has a unique flavor. Like beer, it gets a great foamy head when poured, so you have to be careful when pouring it. Many of today's root beers use artificial flavorings in a syrup, while craft producers often make it using natural ingredients and traditional methods. Root beer and its counterpart, sarsaparilla, will be a different taste experience from one brand to another. Popular brands include A&W, Barq's. Dad's, and Mug. Some of the great craft producers include Boylan, IBC, Maine Root, Specher, and Virgil's, though there are many more. If you see a bottle of root beer that's new to you, give it a try because there are some amazing ones available. While most root beers today are non-alcoholic, some do contain alcohol and these are typically called "hard" root beers. Root beer's most famous drink is the soda fountain favorite, the iconic root beer float. It's also a great mixer for cocktails and tends to work well with whiskey, as in the rooster cocktail. Root beer is also quite tasty when warmed up and can be used in warm drinks such as the mulled spice Cheribundi. If you are working in a bar, you may have a soda gun to dispense the most popular sodas. It's convenient and quick and once you remember the layout of the buttons, it will be one of your main tools for mixing drinks. There are also many bottled sodas which are convenient for the home bartender, traveler, or those who want to offer a boutique soda. Some bars will stock the bottled sodas (usually the premium brands if a soda is already in the gun). With those, it is customary for the bartender to top off the drink with a little soda and set the bottle alongside the napkin to allow the drinker to add more to suit their taste. Unless you are throwing a party or planning to use a lot of soda at once, it's best to stock your home bar with the smallest bottles available. The majority of the carbonation is lost when the seal is first cracked. A scotch and soda or whiskey fizz with day-old soda will be weak, flat, and undesirable. With the smaller bottles, you can usually pour one tall or two short drinks and each will be super fresh. With club soda and tonic in particular, be sure to open these bottles slowly. Crack the seal and allow the first air to pass before opening it all the way. These sodas are notorious for fizzing up and will overflow immediately, even if you did not shake the bottle.